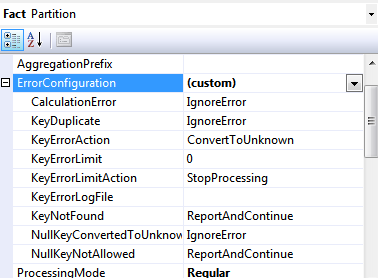 Load Testing BI Solutions – When? This year I came across two very different BI projects which had the common non-functional requirement to prove that they would handle an expected spike in the report generation load. Funny enough, in both cases the project teams got very concerned and came up with wildly inaccurate predictions of how many concurrent users we should be testing for. In the first case the problem was with the perception of “thousands of users”, while in the second, the team interpreted “monthly users” as “concurrent users”. The annoying part was that in the first case the team planned on building an ultra-massively overcomplicated queuing system to handle those spikes, and in the second case they were thinking of completely scrapping the ad-hoc functionality in the solution and resorting to report extracts distributed by email. The unreasonable expectations of the load lead to bad design choices – this is why it is important to remain calm and first check whether there is a problem at all. Since a report takes 2 seconds to generate, we can generate 1,800 reports in one hour. Therefore, with 6,250 requests, we would have 3.47 average concurrent users. Of course, this would be the case if we have a very uniformly split load. In reality this would not happen – instead, we will have peaks and dips in usage. A moderate peak is typically around 3x the average, while a heavy one would be at around 6x the average. To ensure that we can handle such peak periods, we should multiply our average concurrent users by 3 or by 6 depending on our load analysis. Let’s assume we have a very high peak load of 3.47 * 6 = 20.82, or approximately 21 concurrent users. This is the number we need to test in our case. Note that we had 1,000,000 report requests per month, but in our highest peak we expect to have only 21 concurrent users. I have not actually had a project where we have expected to have such a load (in both cases which prompted me to write this post we had between 2000-10000 users per month). The moral of the story – don’t panic. In most reporting projects the user load is not high enough to warrant a full-scale load testing exercise; next time you hear talking about something like that, instead of rushing to cover unreasonable scenarios, try to calculate and confirm the need first. 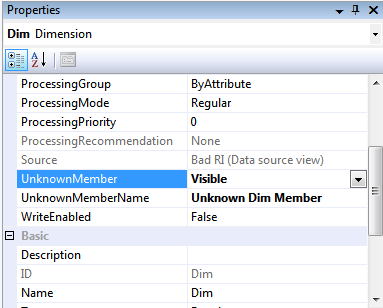 By default the Azure DataMarket does not allow range queries. In fact, the only way we can filter a data feed is through specifying one or more values for the “queryable” fields specified for it. 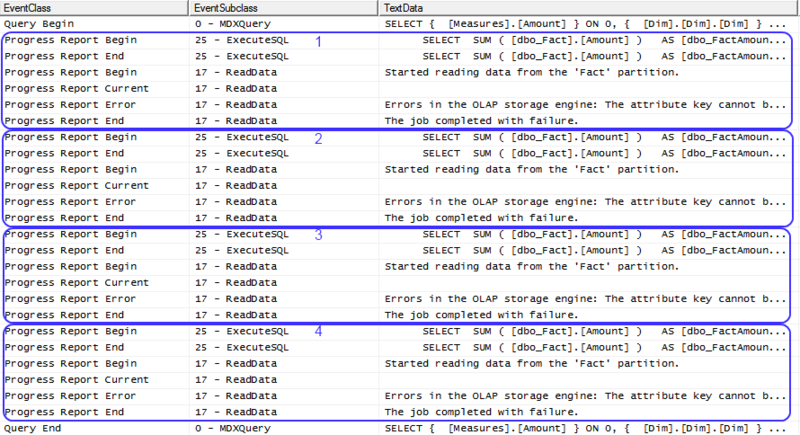 There is not technical reason behind not allowing range queries as both the back-end (presumably SQL Azure, or SQL Server) and the OData protocol support them. 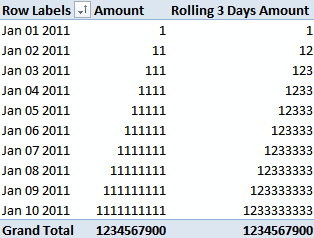 Fortunately, there is a way to consume a range of the values in a column of a data feed in PowerPivot. 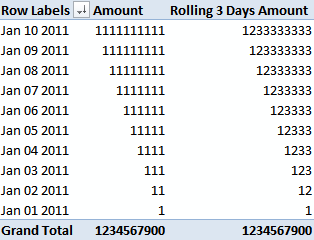 It is not straight-forward and I do not think that the target audience of both self-service BI/PowerPivot and the DataMarket itself would appreciate the complexity, but it could be useful anyway. Here space is %20 and the math comparison operators have been replaced with the OData operators (in red). …we get exactly what we expect – a table with 30 years. Where %27 is apostrophe and %3a is a colon (for a list of ASCII characters and their URL encoded form we can refer to http://www.w3schools.com/tags/ref_urlencode.asp). This monstrous-to-write URL string returns 30 years of data + 1 day. I suppose this approach can be classified as a workaround, as I have not seen any documentation on PowerPivot referring to any options for filtering data from the Azure DataMarket. However, in my opinion, this should be a feature of the DataMarket itself as it would make it easier/possible for users with any tool to get just the data they need and even possibly reduce the load on the site service since it will no longer be necessary to export everything and then attempt to apply a filter. I recently blogged about The Case for an Azure DataMarket Date Table. I finished the blog post with a bit of a critique of the DataMarket team at Microsoft, which I can now wholeheartedly apologise for. This is because since my last post I was contacted by Max Uritsky who is a Group Program Manager on the Windows Azure Marketplace DataMarket team (a long name for a team, yes). He and Belinda Tiberio managed to help me with creating and hosting a new Date feed. Not only they helped with making it available for free on the DataMarket website, but also gave me a 1Gb free SQL Azure database for the project. A big “thank you” goes to Julie Strauss from the SSAS team for making the contact, as well. 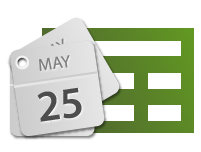 To summarise, the DateStream project is a free date table available as a feed and intended to be used by PowerPivot BI users. As most, if not all, BI projects include a date table, the goal is to provide an easy-to-use, correct and simple mechanism for creating such tables. After some deliberations on the format of the feed we decided that it would be best to split the feed in a number of localised Basic tables and one Extended table. Currently we have only two Basic (US and EN) versions and a fairly straight-forward Extended one. However, the plan is to inlclude more and more column in the Extended one and provide extra localised (Italian, French, Spanish, German, Russian, etc.) tables. When I am saying “we” I mean fellow SSAS professionals, which I had the pleasure to discuss this idea (among which Marco Russo, Thomas Kejser, Willfried Faerber and Grant Paisley). The CodePlex page of the project contains more details about the feed and the tables and also allows for commenting on existing features, as well as requesting new ones. It can be found at http://datestream.codeplex.com/. 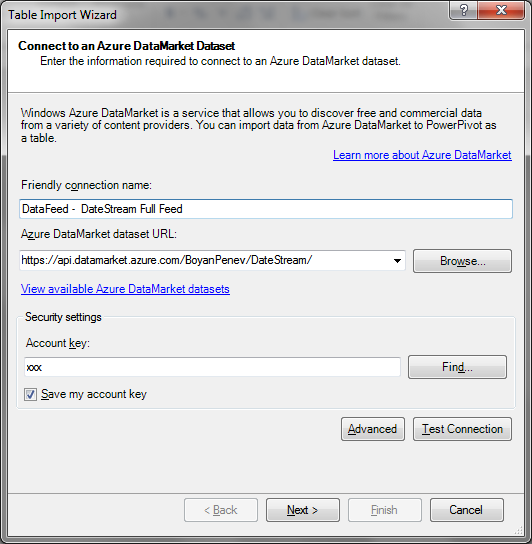 The actual feed can be used directly from https://datamarket.azure.com/dataset/1542c52d-d466-4094-a801-9ef8fd7c6485. Note the logo – it was created by Daniele Perilli from SQL BI with the assistance provided by Marco Russo. Thanks to them we did not have to resort to my graphic design skills, which definitely is a win for the DataMarket website. One note – please let me know if the performance you get from the feed is not satisfactory (please remember that once pulled, the feed does not need to be refreshed as the data will remain valid forever). If many people agree that it is too slow I could potentially host it on an alternative location as well. 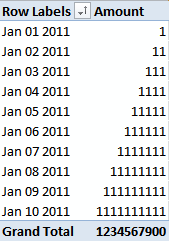 It is possible to download a CSV version from the DataMarket as a workaround, which also allows removing unnecessary date ranges.